'Tapped': Just Another Excellent Indie Documentary Likely To Bring You Down In the great tradition of independent documentaries, the bottled-water film Tapped will pass on a great deal of information while not making you feel particularly cheery. An interesting algorithm I've noticed regarding pop culture odds-making: In any given week of DVD releases, the best title hitting shelves is almost always an independent documentary. At least that's been my experience in the last few years. This is a subjective assessment, of course, and probably has everything to do with my position in the demographic charts: I spend an alarming amount of time watching the History, Discovery and National Geographic channels. But it also has to do with the nature of the documentary film market. Indie docs are, almost always, labors of love. Their creators aren't looking to please a broad audience or deliver a blockbuster. These filmmakers are usually tackling a subject they feel passionate about. Lord knows they're not in it for the money. Documentaries rarely get theatrical screenings outside of the festival circuit, and usually aim their films for the educational market and cable channels like those mentioned above. Because of this, there's little pressure to make commercial concessions, and filmmakers can go off chasing whatever subject inspires them. Or inflames them. Case in point: Tapped, an excellent documentary hitting DVD this week that details, with grim thoroughness, the multiple overlapping evils of the bottled water industry. Of course, all of this water has to be transported, processed, packaged and retailed – with attendant energy costs. Most of those plastic bottles end up in landfills, or the ocean. The statistics are dispiriting. 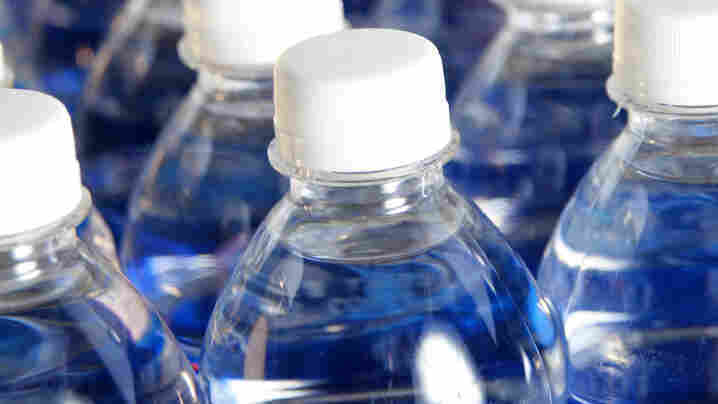 According to the film, Americans buy 29 billion single-serve bottles of water each year. About 20 percent are recycled. Transporting the water uses about 18 million gallons of oil. The numbers roll on. Soechtig runs down the same arguments being sensibly presented by other bottled water opponents, but elevates the urgency and drama using all the tricks of the filmmaker's trade. The documentary film, when properly deployed, is still our best medium for parsing complex issues and delivering maximum information efficiently. Tapped occasionally gets a little too excited, though, using cheap editing tricks to ridicule industry spokespeople and drifting into melodrama with certain images and musical cues. Soechtig should have more confidence in her material – and her audience. This stuff sells itself. In the manner of similar films like An Inconvenient Truth and Crude Impact, Tapped ends on a note of hope, detailing how changes in consumer culture and grass roots efforts are beginning to turn the tide. Indie docs like these have a tremendous energy and urgency that just can't be matched. So consider Tapped when browsing the DVD aisles this week, online or off. It'll pretty much ruin your evening – in a good way.